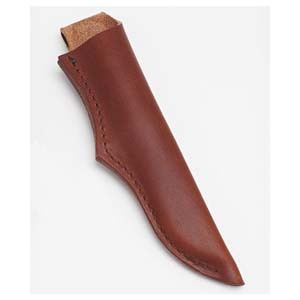 Karesuando Welted Leather Sheath. Made from thick vegetable tanned leather. There can be slight variations in colour tone due to the natural vegetable tanning and colouring process.